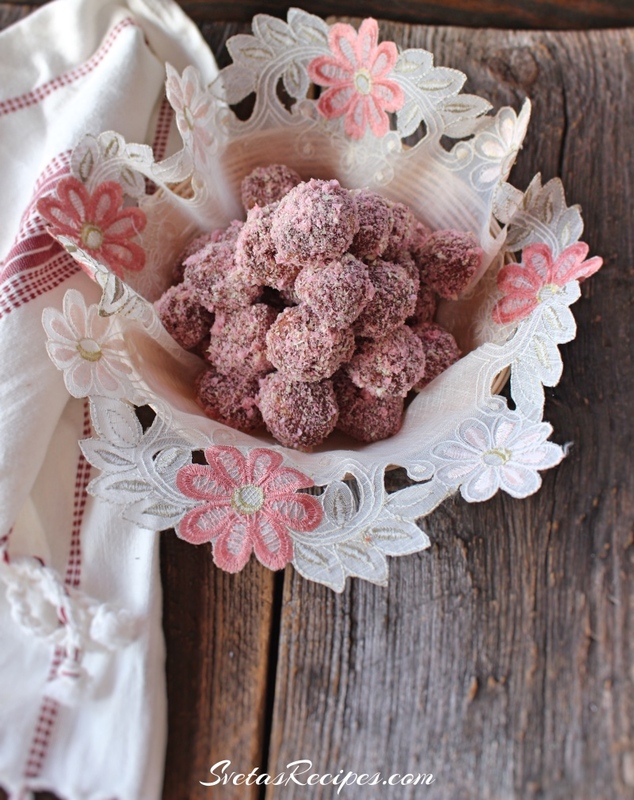 This apple truffles recipe is very popular among Ukrainian’s. Truffles are covered with homemade chocolate and shredded waffles. On the inside we used fresh apples. They come out super soft and yummy. 1.) In a large bowl add your butter and 1/2 of your flour. Mix well and add you cooked egg yolks. Add your sour cream and mix well. Kneed your dough until it is smooth and elastic. 2.) Cut your apples into pieces. Using a cup cut your rolled out dough into small circles. 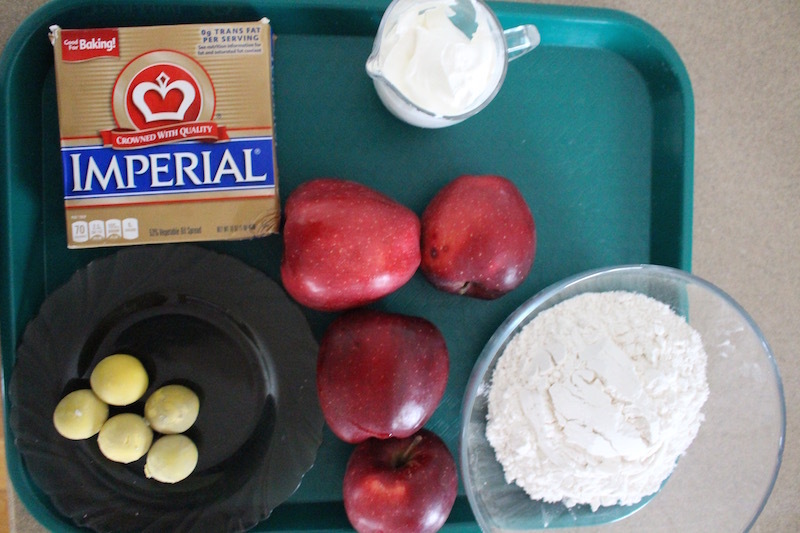 Add one piece of apple to each circle and using your hands form it into a ball. 3.) Place your dough pieces onto a baking pan that has parchment paper on it and bake for 35 minutes on 375º F. In a pot place your butter, sugar, cocoa powder, milk and mix together well. Boil your pot until everything melts. 4.) 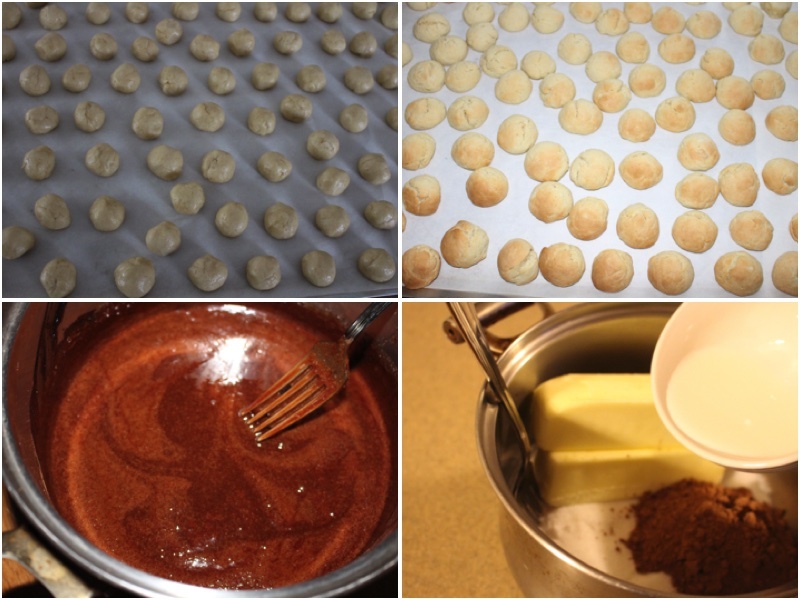 Take out your truffles and let them cool on cooling rack. Dip your truffles in your chocolate and then roll them in your shredded waffles. 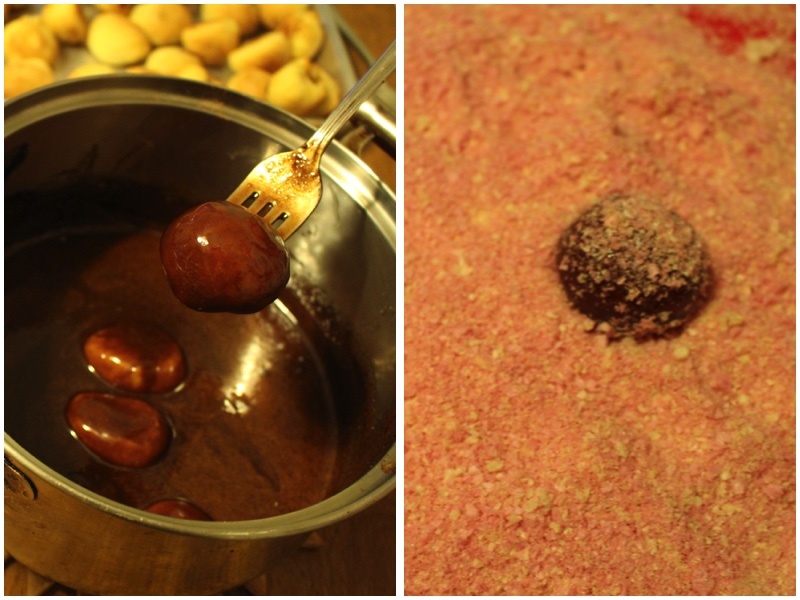 Do this to all your truffles and place on a serving dish and enjoy. 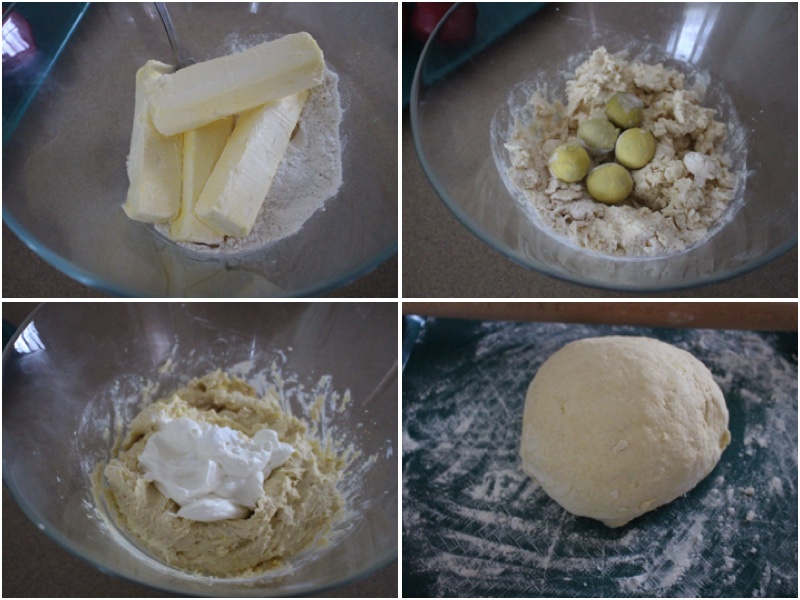 In a large bowl add your butter and ½ of your flour. Mix well and add you cooked egg yolks. Add your sour cream and mix well. Kneed your dough until it is smooth and elastic. Cut your apples into pieces. 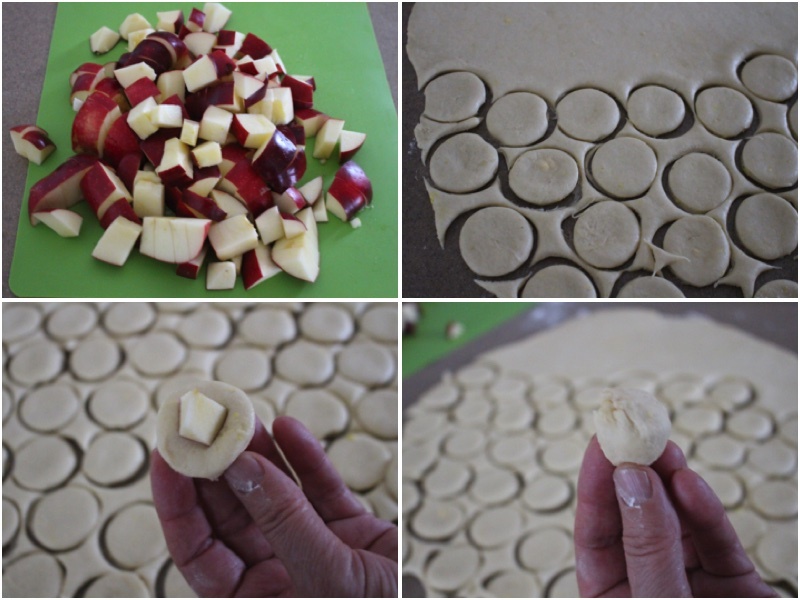 Using a cup cut your rolled out dough into small circles. Add one piece of apple to each circle and using your hands form it into a ball. Place your dough pieces onto a baking pan that has parchment paper on it and bake for 35 minutes on 375º F. In a pot place your butter, sugar, cocoa powder, milk and mix together well. Boil your pot until everything melts. Take out your truffles and let them cool on cooling rack. Dip your truffles in your chocolate and then roll them in your shredded waffles. 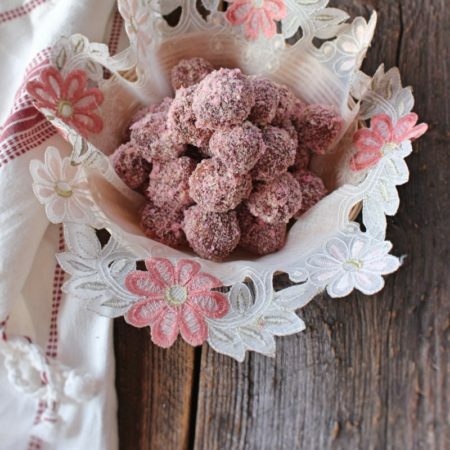 Do this to all your truffles and place on a serving dish and enjoy.